"Think of the possibilities for impact when we free ourselves from the grips of consumption. That’s a movement I want to be a part of." - Megan O’Malley, co-founder of Walk Sew Good and a writer on Eco Warrior Princess. This quote resonated with me so deeply when I read this incredible article titled "An Open Letter to the Ethical Fashion Movement". In this article Megan shares that just buying sustainable fashion or even practicing conscious consumerism is not enough. Quite the opposite - ethical fashion is one of the "hottest" trends in fashion. It sounds like an oxymoron to me. Curious to hear your thoughts on this! In my consulting practice, in most cases, I refuse to work with brands who are creating simply another sustainable & ethical fashion brand, unless they are open to brainstorm on daring innovation focused on circularity and create completely new business models and weave activism along with their products. I enjoy working with innovators and tech companies in fashion tech space who are looking to be part of the circular fashion economy, set to completely restructure the way our industry works and actively contribute to a movement. Megan clearly states in her article: "It’s time to broaden our focus and start acting collectively for change beyond the individual consumer. We must release the fashionable activist within who is yearning for a more fair and equitable world. We must insist that brands and governments take action now and make it known that business as usual is not acceptable. We must connect with and support organisations who are already fighting for social and environmental justice in the fashion industry and have been doing this difficult work for years, before it was considered on trend. The system needs to change and that starts when the ethical fashion movement demands more from those within and without." So what does participation in ethical fashion look like beyond consumption? Megan shared a solid list of resources to get you started in joining the movements that already exist, check it out here. Recirculating here: during the very first days of 2019, I wrote this article on how to navigate through the collective shift in consciousness to develop your business, where I unfold the 5 ways to use spiritual wisdom for your fashion company's development. I believe in a few years' time, conscious businesses will become a norm, not a weird and unclear, fancy title that noone fully understands yet. 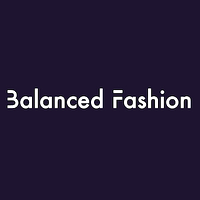 At Balanced Fashion consulting I focus on helping companies and individuals make conscious decisions for themselves and their companies, connect with their higher purpose and as a result build businesses of the future that are in line with their values and beliefs. It is so satisfying to see individuals' careers align with what they are most excited about at this given moment and see them strive and contribute to the meaningful change in the world. If you're interested in finding out more, email me at nataliya@balancedfashion.com and I'd love to speak with you! Quick update re monthly Balanced Fashion events: Some of you know that I live in South-East Asia this winter, so for now I have to postpone our BF events series for until I come back to NYC later this year. Even though hosting events remotely has been quite an interesting experience, I feel much more value in organizing them when I'm physically present at my events as a panel moderator. That's why we are postponing our Fit Tech event untif further notice - we've refunded everyone who bought tickets. Sorry for the inconvenience and please stay tuned for the updates! 12:00 pm – 8:00 pm Volunteer: Sustainable Fashion Clothing Swap & DIY Event! Neonyt Trade Fair takes place in Berlin on Jan 15th - 17th, which includes the Fashionsustain and #Fashiontech conferences, showcases, events and parties. I was on it last year in July and it was pretty mindblowing, so if you're in Berlin for the big trade shows this week - do attend this one of the most innovative sustainable & tech conferences! Neonyt brings together a community defined by fashion, a forward-looking approach, an affinity for technology and sustainable awareness. Unified by the desire to drive a process of change in the fashion industry, from which companies as well as people and the environment will profit.